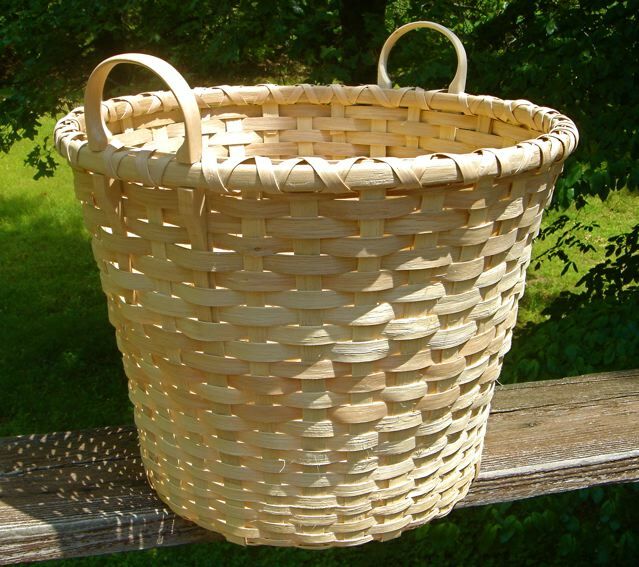 The Essex Shipbuilding Museum (MA) has created a project to replicate a vintage clamming skiff and harvest basket, for which I’m digging in on research for the basket. Here’s the model we’ll follow. 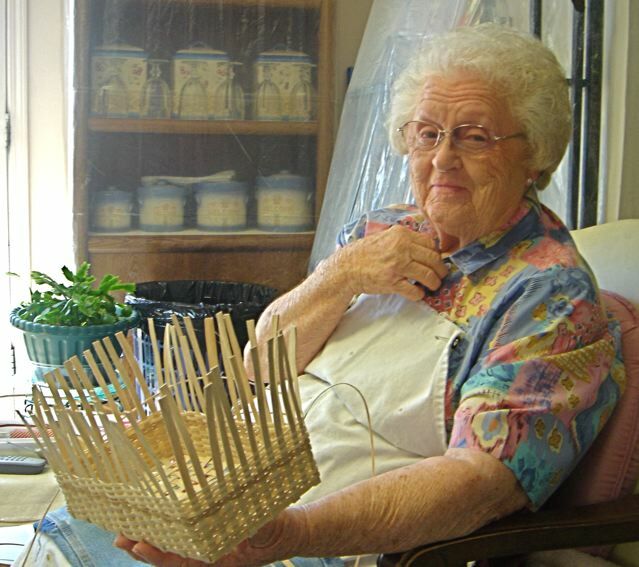 The basket is made with #11 gauge galvanized wire and will be woven with white oak from near the museum. In the coming weeks, we’ll split out harvested logs, make jigs and molds so that we can replicate the basket and prepare for community classes to make more. 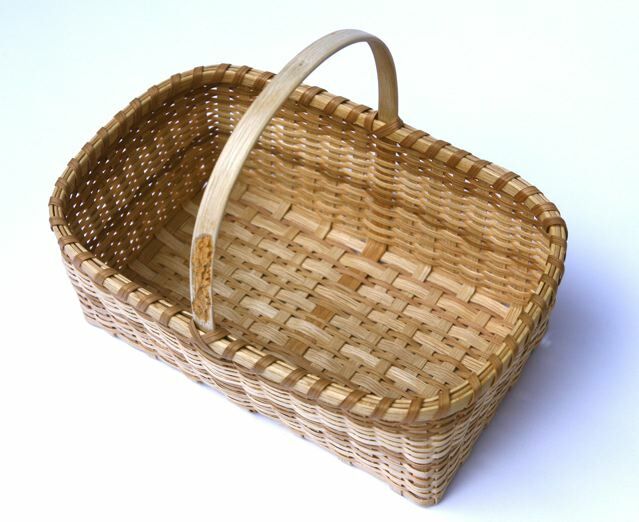 The 8-inch square bottom of the basket is woven with wire in 1-inch square dimensions, almost exactly 1-inch. Handling the thick galvanized wire and commanding it to hold with such certainly appears to have required some kind of jig to secure the wire in place as it was woven. I don’t know how the original maker did it, but I created a jig by sawing a grid 1/4 deep in 1-inch spreads from a cherry board. 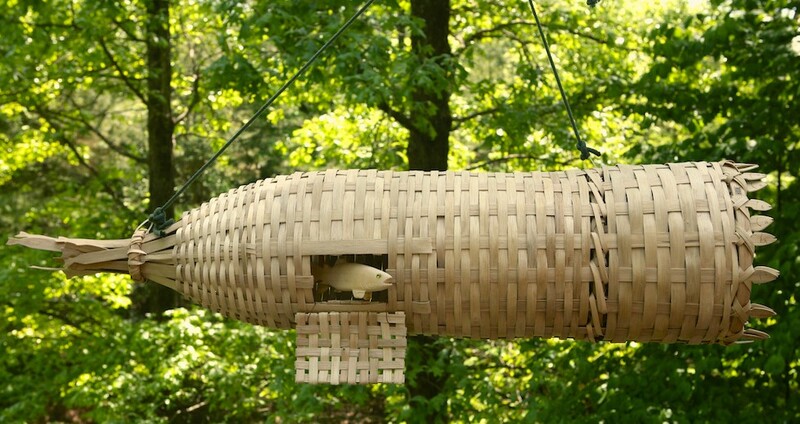 When the bottom was woven, a plywood square covered the wire and was bolted tight. 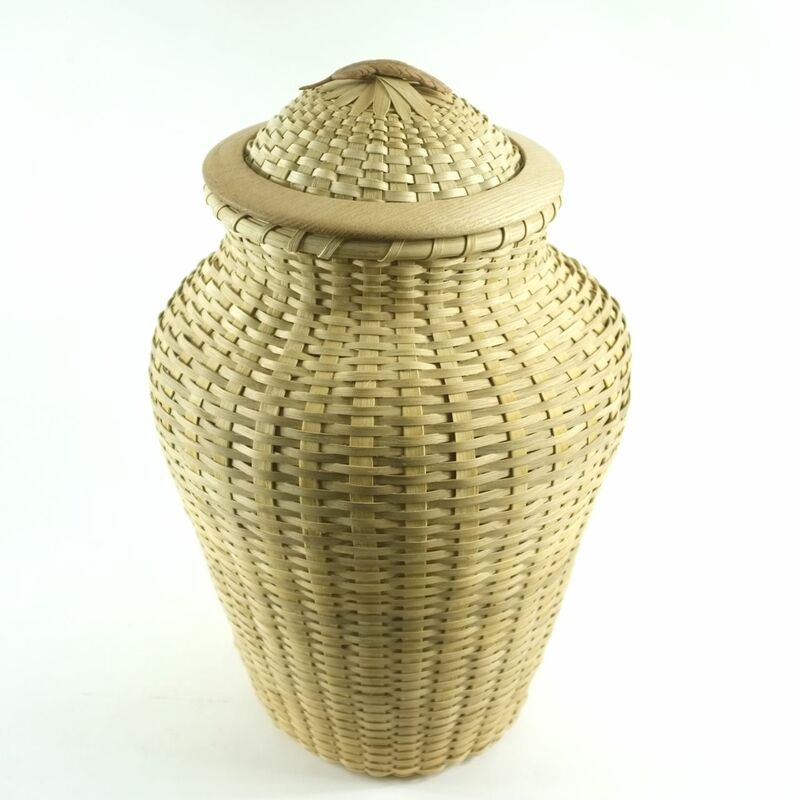 This site features the work of basket maker Billy Ray Sims, and offers handmade baskets for sale. 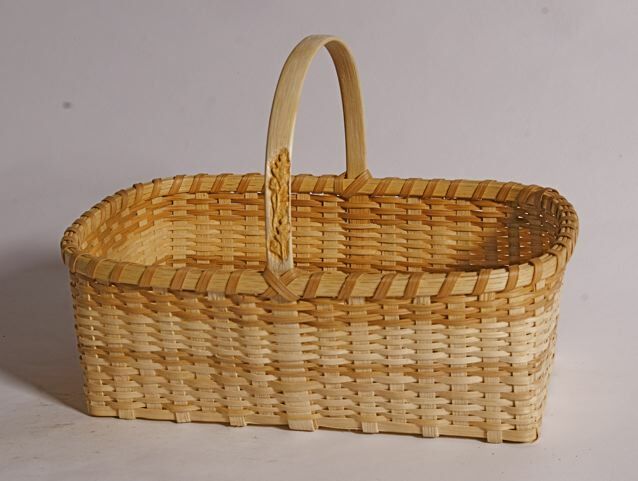 If you don’t see a traditional splint basket you covet, Billy Ray will be happy to create a one-of-a-kind basket to your specifications. Email for more info. A challenging commission, shown in the foreground, came from a client who wanted a version of the potato basket you can read more about below. But when I informed her how large the original basket is —23″-wide— she asked for something a little smaller. Hence, the petite outcome. 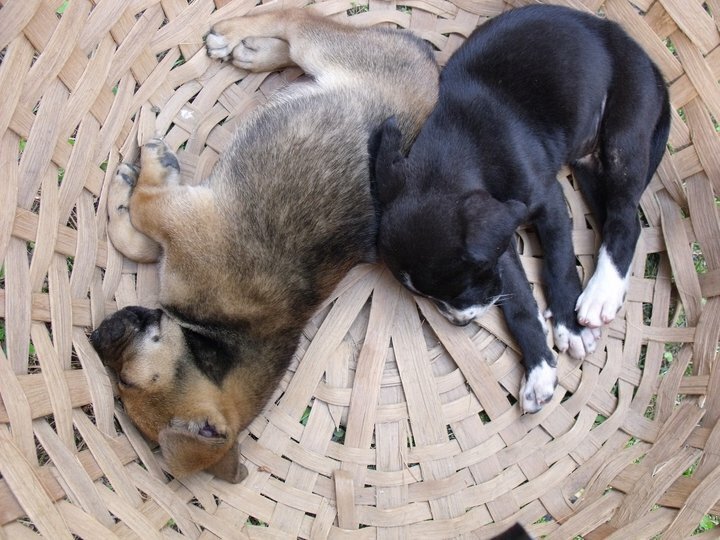 My heart and pocketbook went out the window, and I brought the old basket home with me. The original is shown at left, and my take on it, which looks more like a ginger jar, is above and details of the top and bottom below. Thanks to John Rice for his pioneering, inspiring work, and research and preservation of the iconic Appalachian crafts. Every October, the museum hosts it Tennessee Fall Homecoming. People from around the world attend for the old-time music performances, crafts, and the kind of food upon which I was raised and relish. I’ve enjoyed demonstrating basket making at the festival and hope to join the fun again soon. 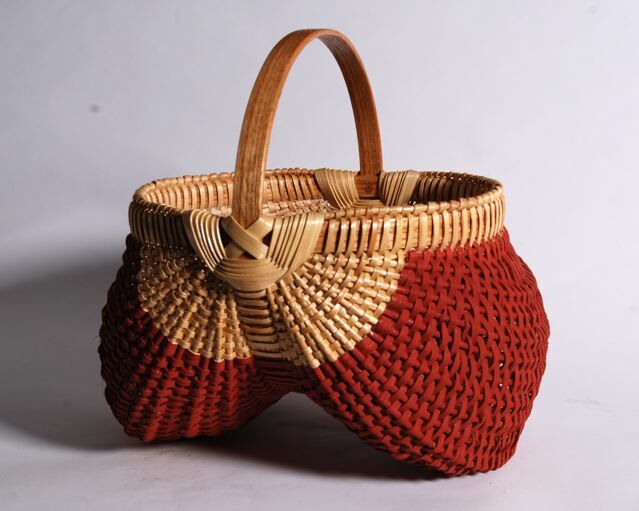 This field basket, modeled after one by Vonnie Miller, was quickly made at an annual gathering of white oak basket makers at Mary Ann and Bill Smith’s home in McCalla, AL. About 10 enthusiasts came together to sit under the shade trees of the Smith’s for two days last April. We made baskets, shared stories, techniques, tools and tips.